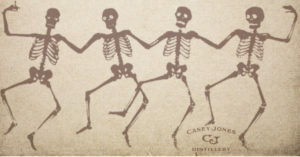 Casey Jones Distillery kicks in spring with Hot Dancin'. Dance floor classics, party rock anthems and crowd favorites from the 70's-80's-90's and today. One thing is for certain: Hot Dancin' will make you feel something. Soul Fuel Food Truck will serve their famous beef brisket and other crowd favorites. 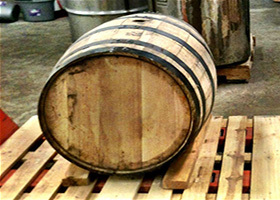 The distillery opens at 10 am for tours & tastings and the music starts at 6:30 pm. Family friendly so gather up and come on out! 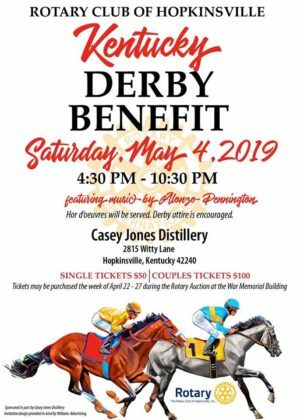 For the 2nd year “running” the Hopkinsville Rotary Club will host the Kentucky Derby Benefit at Casey Jones Distillery on Saturday, May 4th. 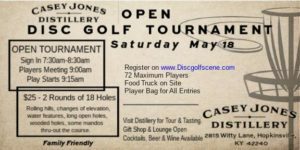 This fun and exciting event will be held at the Casey Jones Distillery and feature music by local artist, Alonzo Pennington! Single tickets will be $50 and couples will be $100. 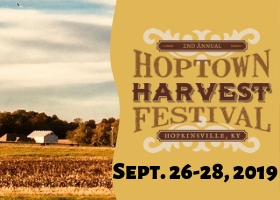 Tickets can be purchased during the week of the Rotary Auction, which will be April 22-27 at the War Memorial Building in downtown Hopkinsville. Start your summer with great music and food! 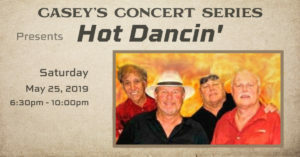 Hot Dancin' comes to Casey Jones Distillery. 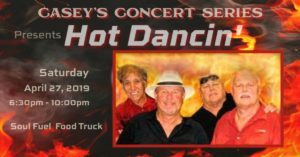 Get ready to dance with favorite pop, rock, soul & country music. Food trucks Holiday Burger and Hugging Tree will be serving a big choice of good eats starting at 5:30pm. Music starts at 6:30pm. Bring a lawn chair or yard blanket, friends and family and enjoy this first official summer weekend. Family Friendly and No Cover. Let the music start! Come out for a day of sun, fun, food and music. 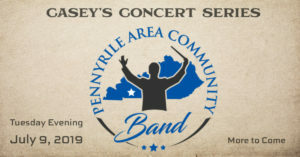 Food Truck will be serving starting about 5:00 pm and the music starts at 6:30 pm. 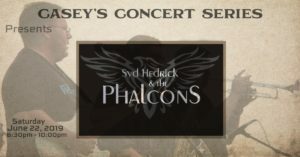 Syd Hedrick's roots in music begin in the weaving counterpoint melodies of southern gospel and move all the way through Blues, Alt. Country, R&B/Funk, and Original compositions with a progressive flair. Family friendly. Bring a chair, or blanket, sit on the lawn and enjoy the summer fun. With local roots, singer-songwriter Kent Wells is the founder of Roux & The Willing. Add Sean Finley on drums and bass-player Austin Brown for a mostly local inventive and effortlessly cool Indie band, playing a blend of rock/pop/roots music. From toned down to rock the house, their musical range is amazing! Food truck serving starting around 5:00 pm and the music starts at 6:30 pm. 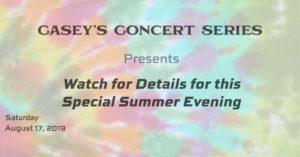 Gather up your friends, bring the kids and enjoy a summer evening of music. 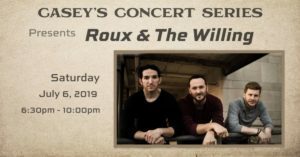 Casey's Concert Series presents . . . Just make your plans. Details in the works. As all of our events are, this will be family friendly. Hint - get your tie-dye, bell-bottoms and beads ready. 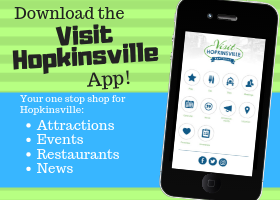 Here's an easy way to find great live music. 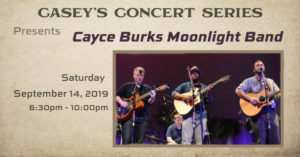 Cayce Burks Moonlight Band delivers playing a wide range of well known favorites of all music types with a welcome and sometimes unexpected twist. Come out for great music, good food and fun on the back porch and lakeside deck. Bring the family. And stay a bit.